A two-fer today, folks: a British artist and a California couple matched in their versatility and the breadth of their journeys, similar in the way they pull on and play against the older sounds of their respective regions, yet quite different in their influences and output. Let the featurettes begin! 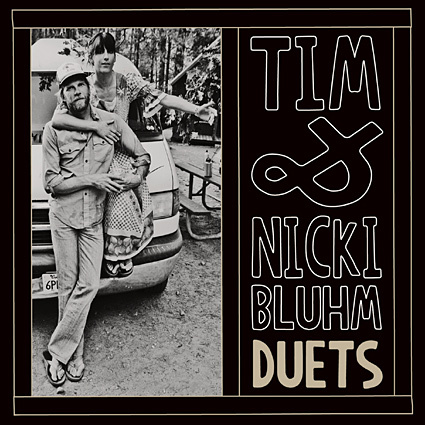 Tim and Nikki Bluhm are a busy pair: she’s a solo artist with an incredible second album on the market; he plays backup for her in five-piece country rock band Nikki Bluhm and the Gramblers, and is the guitar-playing cornerstone of longstanding California cult rock-and-soul jamband Mother Hips. The two share front-line duties in West Coast collective Brokedown in Bakersfield, too, channeling the Bakersfield country rock sound through a hybrid acoustic-electric bar-band approach that just plain smokes. But strip away all the production, the drummer, keys, and bass, and the essential musical prowess of the Bluhms is laid bare. Their harmony work on Nikki’s recent solo release Driftwood is stunning, highly recommended for those willing to take a chance on some serious CMT-caliber county and 70′s era rock. And their recent EP Duets, which came out towards the end of 2011, is Americana pure and simple, clear as a bell, sparse and tender with just voices and guitar, easily able to hold a candle to the work of Graham and Emmylou, Carter and Cash, Joni and James, and other singing country couples that came before them. Beautiful stuff, folks. Get the whole thing before you move on. For bonus fun, as we noted on our facebook page earlier this week, Tim, Nikki, and the rest of the Gramblers have a habit of recording covers in the van between gigs. I’ve included a pair of favorites below – those following our Facebook page will recognize their delightful Buddy Holly cover – but follow the YouTube trail for a whole mess more, including some utterly adorable, sweet and intimate takes on everyone from the Allman Brothers, James Taylor, and The Grateful Dead to Bobby McFerrin, Whitney Houston, and Funkadelic. Why is UK folk experimentalist Jim Moray on the radar? Because last week, a fan sent me the Fleetwood Mac cover from Moray’s brand new album Skulk, and I was smitten immediately by the juxtaposition of epic echoes and driving banjo, and the beautiful, unresolved tension these two bare elements create. It was tough to round up details with Wikipedia down, but from what I could tell, the thirty-something British folk singer is a big name across the pond, well respected by his peers and his homeland critics, who has won major awards and placed high on the UK folk festival circuit for his prolific output and prodigious sound over the past decade. And for moment there, I began to wonder why I hadn’t heard his work before. That the name didn’t really ring a bell is likely both a comment on how challenging it is for British folk musicians to break into the American soundscape, where the word folk isn’t always applied to the heavier, more produced sound that Moray sometimes favors in his other role as a producer for both his own work and for bands such as Oysterband. But it also likely a function of Moray’s own musical journey in his single decade as a recording artist, one typified by an almost impatient willingness to experiment with various sounds from one record to the next, from the electronic soundscapes of his early work to his self-titled mid-millennial orchestral album to more recent explorations of world music instrumentation and – oddly – a folk/dubstep collaboration as grimy as it sounds. Once I made the connection between the name and his earlier sonic incarnations, of course, it turned out I had a couple of bonus tracks lurking in the archives: an XTC cover which reminds us strongly of the modern neotrad British folkscene lightly hybridized with indiepop and a New Orleans Jazz coda, a haunting trad-to-electrofolk mashup of Early One Morning from his bedroom-recorded 2003 full-length debut, and an oddly ragged barrelhouse cover of Drive My Car that I dug up on Rubber Folk, a 2005 British Beatles tribute that has never failed to please. Taking them as a set shows just how much this new track, with its crystal clear production and hollow, sparse-yet-frenetic soundscape, represents a new direction for Moray, a still-evolving musician who – while well-known in his native England – deserves as much international attention as we can spark, and then some. 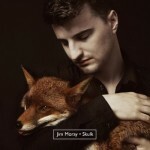 But Skulk is also a dozen albums in one: utterly, sprawlingly gorgeous, with softer folk ballads in aching voice, pop sensibility in sunnier sultry cuts, and jazz elements in hidden corners – Kate Rusby and Sandy Denny in one turn, Nickel Creek in another, Imogen Heap and James Blunt in the next. So stream it. Get it. You’re welcome.